Help Tanvi and 500 other Caregivers by encouraging Support Groups and Individual Counselling sessions for them. Adveka Foundation is a non- profit, non-governmental organisation [Bombay Public Trust Act, 1950, No. E-33893, Mumbai] that works for the Mental Health of Caregivers. 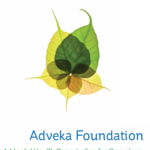 Adveka Foundation consists of a team of psychological counsellors that work for the mental well-being of Caregivers through specially designed Support Groups, Individual Counselling and Workshops. Let's talk about a population that needs help but doesn't get the attention it needs: CAREGIVERS. Let's talk about Tanvi*: mother and primary caregiver of an 8-year old boy who has an Intellectual Disability. A typical day in Tanvi’s life revolves around worrying about what will happen to her son when she and her husband are no more. This results in high levels of stress and sleepless nights for her. She is constantly occupied with taking care of her child while juggling to complete all the other household responsibilities. Tanvi doesn’t even have 15 minutes in the day to sip a cup of chai which she absolutely loves. Sometimes, she even struggles to take out time for her own meals. She lives in guilt of being unable to balance her time between her kids, as most of her attention is diverted to her son with an intellectual disability. Apart from coping with the house, Tanvi regularly succumbs to taunts from her mother-in-law and other relatives who think it was Tanvi’s fault that her son was born with a developmental disorder. Adding to her woes, her socio-economic background restricts her from availing services/facilities that would unload some of her burdens such as hiring a nanny, access to a good day-care centre, or a financial safety net that could help her son in the future. Tanvi has little support from anyone. Her husband is at work most of the day and her mother-in-law is old and cannot help her take care of the son. She doesn’t wish to burden her mother or brother so she doesn’t speak about what she’s feeling and going through with them. Adveka Foundation works for Caregivers like Tanvi who are sad, scared, uncertain, angry, dejected, exhausted, and anxious. WHO ARE WE? WHY DO WE HELP TANVI & OTHERS LIKE HER? Adveka Foundation is a non- profit, non-governmental organisation, charitable trust [Bombay Public Trust Act, 1950, No. E-33893, Mumbai] that works for the Mental Health of Caregivers. Adveka Foundation consists of a team of psychological counsellors who work with Caregivers through specially designed Support Groups, Individual Counselling and Workshops. A Caregiver is a person who is responsible for the needs of another person. For example, for Vinod, a 7-year-old boy with Cancer, his parents- Vandana & Shashank, become his primary caregivers, while his doctors and nurses become his secondary caregivers. For a 45-year old man with diabetes, his wife and children may be his primary caregivers while his doctor will be his secondary caregiver. An Oncologist would be the secondary caregiver to multiple patients as well as a primary caregiver to his/her parents. There is a Caregiver in every family. If you have ever taken care of anyone with the flu, fracture, cancer or dementia, you are a Caregiver. Caregivers suffer from high levels of stress, depression, anxiety, psychosomatic conditions like chronic body pain that are directly related to their Caregiving responsibilities. Lack of time or resources such as money to actually seek mental health support. Even if they can save Rs.100, they prefer to spend it on their care-recipient. Caregivers become an invisible population that works tirelessly but aren’t recognised as a section of society that needs therapeutic support. 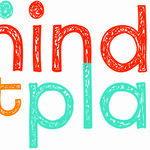 No other organisation focuses on working solely with the Caregivers for their mental well-being. Once Tanvi started attending the Support Groups, she started feeling more in control of her life. Sharing her thoughts, her biggest fears during the Support Group sessions with other parents made her realise that she was not alone and found solace in sharing and connecting with others who faced similar situations. 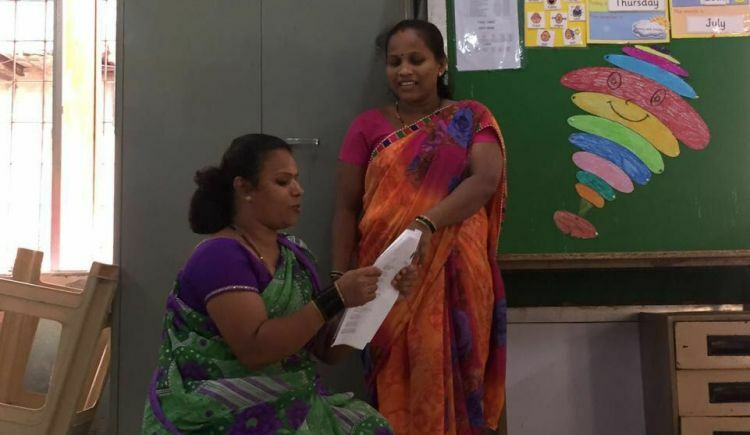 With individual counselling, she learned skills that helped her be assertive and stand up for herself against the allegations of her in-laws. She felt less anxious, was able to resolve her fights with others more amicably, and was able to focus more on her daily tasks. Tanvi learned healthier ways of coping with her circumstances which directly resulted in her being able to care for her family better. Most importantly, Tanvi realised that ‘Self-Care’ is not ‘Selfish’. Tanvi started taking some time-out for herself - eating her meals on time, visiting the doctor when needed, and making time for that one cup of chai that keeps her fresh for the rest of the day! A happier, healthier Tanvi is what Adveka works for. Like Tanvi, there are many other invisible Caregivers who Adveka wishes to support and reach out to. To achieve our goal of providing Caregivers with the necessary mental health support that they require – we need everyone to support us financially and otherwise. You can join us on this journey by making a contribution of any amount. Every Support Group session costs Rs. 1300 while an Individual Counselling session costs Rs. 600-950 depending on the expertise of the therapist. Adveka Foundation is a non-profit and mainly works with caregivers mainly from the lower socio-economic background. That’s why most of the caregivers are unable to pay for the mental health support that they need. Any amount that you donate will help us to continue conducting these Support Groups, Individual Counselling sessions, and Workshops to make a positive difference in the lives of as many as 500 Caregivers over the next year. We understand if you cannot financially help us. However, it would be great if you could click on the "share" button to spread the word on our campaign through your social media profiles, and WhatsApp groups. 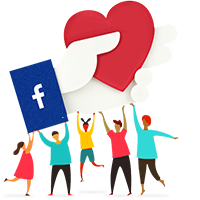 Follow us on https://www.facebook.com/advekafoundation/ to get a glimpse of our work! Get in touch with us at advekafoundation@gmail.com if you believe you can help us in any other way or wish to get any further information about the campaign. Feel free to ask Adveka Foundation for a new update on this Fundraiser. Your message will be directly emailed to Adveka Foundation and you will receive his/her response on the email address entered below.